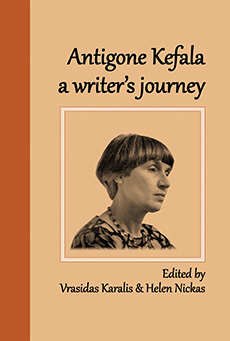 Antigone Kefala: a writer’s journey is edited and introduced by Vrasidas Karalis and Helen Nickas. It includes a selection of interviews, reviews and essays on the life and works of Australian poet and prose writer Antigone Kefala, as well as an illuminating autobiographical piece by the poet herself. This diverse biographical and critical material included in a single volume gives a fascinating insight into this writer – a Greek from Romania – who has been living in Sydney since 1960 and has made Australia her home. Prominent literary critics contributing to this volume include Sneja Gunew, Ivor Indyk, Judith Brett, Nikos Papastergiadis, Judith Rodriguez, Dmetri Kakmi, Anna Couani, Paul Kane, Gail Holst-Warhaft and many others from Australia and elsewhere in the world. There is also a section on translation of her works into four European languages, reflecting Kefala’s origins. Antigone Kefala was born in Romania of Greek parents and has lived in Sydney since 1960. Her poetry publications include Absence: new and selected poems (Hale & Iremonger, 1992, 1998). Her prose works include The Island (1984), Alexia: a tale of two cultures (1984); bilingual and trilingual versions of Alexia and The Island (1995 and 2002); Summer Visit: three novellas (2002); Sydney Journals (2008) and Max: the confessions of a cat (2009). The editors: Vrasidas Karalis is Professor of Greek at the University of Sydney and Helen Nickas is an independent scholar, writer and publisher of the publication series Writing the Greek Diaspora.